The town of Kitulgala is where this tour will take you for a day filled with extreme adventure. 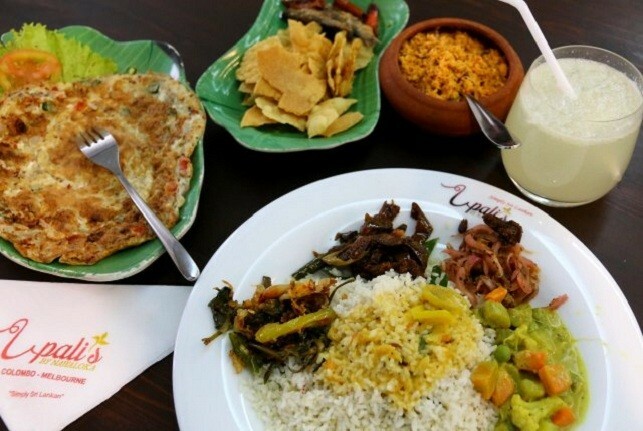 Kitulgala is a small, yet beautiful town located in a wet zone rain forest, approximately two hours away from Colombo. This town is one of the wettest zones in the country not only because it has the Kelani River running through it but also because it experiences two monsoons every year. 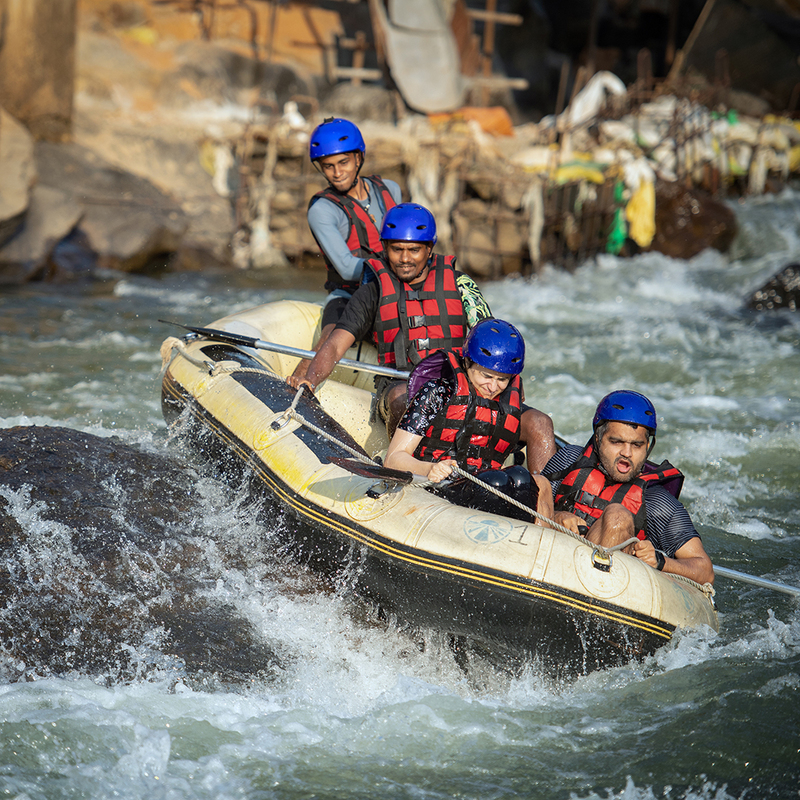 These monsoons trigger the water flow in the river and make it an ideal location for adventurous sports such as white water rafting. 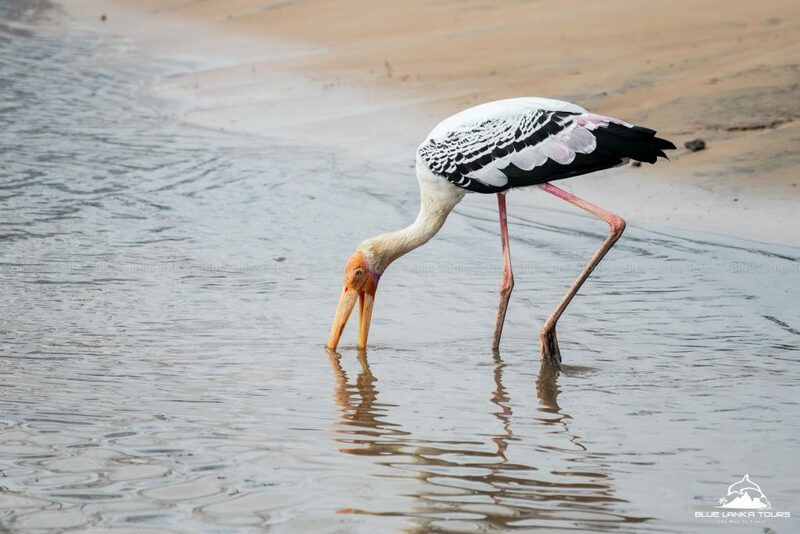 Also, the green surroundings and wet atmosphere make it an ideal location for a bird habitat; hence bird watching is a common activity in Kitulgala. In addition to that, an interesting episode in the history of Kitulagala is the filming of the movie “Bridge on the River Kwai” in 1957. Remains of the concrete foundation of the bridge are still visible today. 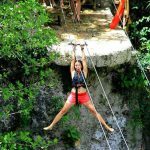 This tour is ideal for those who love adventurous activities such as white water rafting and exploring jungle cave. Since Kitulgala is an extreme wet zone, any time of the year is ideal for water sports and cave exploration. Departure from Colombo should be by 7.30 a.m.
Kitulgala is famous for white water rafting because of the beautiful Kelani River that flows through the small town. 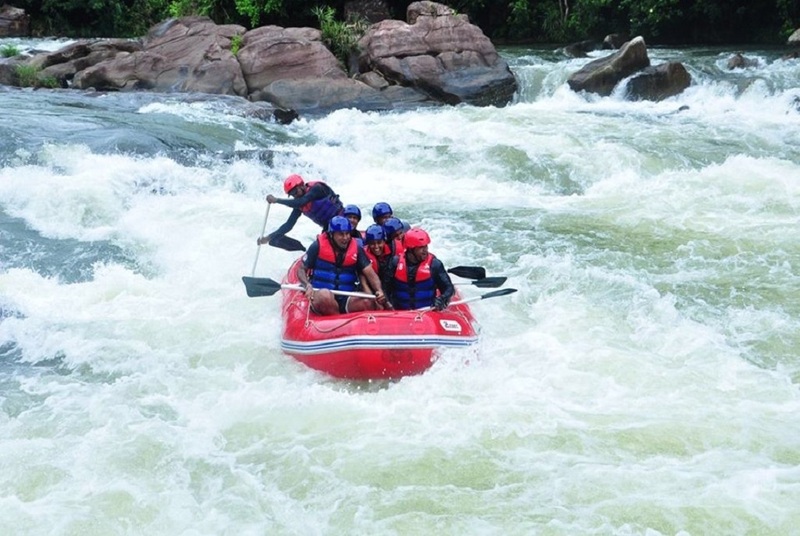 The river covers five major rapid falls and four minor rapid falls which makes it an exciting white water rafting ride. The expert professionals there will give you a brief on do’s and don’ts, after which you will be provided with safety gear and modern rafts to begin your adventure. This is also called the aerial runway. It consists of a pulley suspended on a cable, usually made of stainless steel, mounted on a slope. Slide through the jungle, and scream with your excitement! Dare to jump! It’s fun and exciting; all you need is confidence and the will to do it. 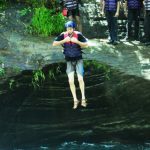 Confidence jump takes place at beautiful natural rock pools. Yes, Don’t worry we got you! 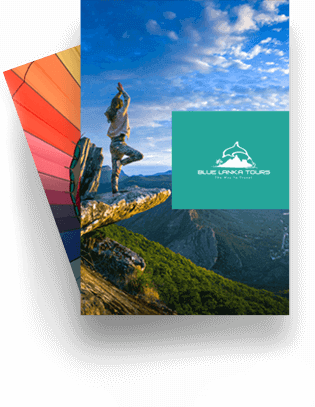 We used Blue Lanka Tours from the 22nd -27th August 2015 . We was collected by both Asela and Dinesh from the airport who were are main guides throughout our stay in Sri Lanka. The tour was tailor made to our needs which included jeep safari, white water rafting, mountain trekking and camping to name a few. Both Dinesh and Asela spoke English and made us feel very welcomed . They both were professional, down to earth and experienced in what they do which is always a positive.